Black women are some of the most versatile and multifaceted individuals on this planet and despite being stereotyped as the lowest of the low, they have managed to become the most educated group in America and are quickly rising in the entrepreneurship field. But sadly, none of that matters to the dominant culture who wishes to keep black women on the bottom rung on the latter of American society. And it has worked. 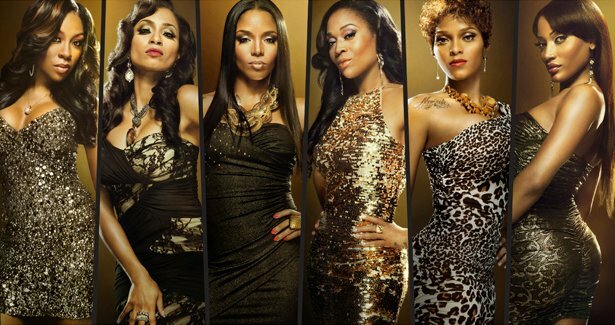 Due to the success of reality shows such as Love & Hip Hop Atlanta and Basketball Wives, Viacom, the parent company of VH1 has seen its ratings go up by 20 percent in prime-time among adults 18–49 in 2014 — the biggest rise among the top 25 basic cable networks. However, the shows on VH1 geared towards the African-American female audience are nothing more than modern day minstrel shows showcasing Black women displaying stereotypical behavior such as fighting, cussing, and showing their asses to the world. Sapphire, Jezebel, and the latest, Gold-Digger for a new generation. One cannot help but wonder if this was a plan. I have noticed since the election of President Obama, the first Black president who happens to be married to a Black woman, there has been a concerted effort by the mass media to portray African-American women in a negative light. Examples include the rise of Black reality television, articles about how single African-American women’s net worth is listed as $5 dollars, and depending on the news source, African-American women either have the most children out of wedlock or abortions. On a regular basis, the American public is assailed with these negative stories and shows about African-American women which in turn make them become subject to stereotypes as the images presented become fixed mental images and are exaggerated and applied to all Black women as a whole. Whites, who are the dominant culture, watching these shows, grow to believe that all Black women are less intelligent, more violent, and generally less human. Additionally, Black women themselves can develop reactions that are turned inward and create a sense of hopelessness, despair, and self doubt that can lead into even more sociological problems in the form of alcoholism, drug abuse, aggression, and crime. Now those white folks who believe these stereotypes are not worth two dead flies but they do exist and are sometimes the very people black women interview with. I wonder how many black women did not receive a job that they were fully qualified for based on these stereotypes. I have come to the conclusion that the only solution to the problem of negative portrayals of Black women on reality television is to boycott the advertisers, not the producers of this muck. Black women need to realize how powerful they are and take a stance to demand that these images be taken off television. The advertising industry is a billion dollar a year industry and if advertisers refuse to run their commercials during these shows, producers of these shows will be left with a limited number of options to present negative images of African American women. Television has a wonderful opportunity to present shows that celebrates and reflects the strength and tenacity of African-American women instead of stereotypical portrayals and that tells stories about the lives of the African-American women as human beings, not just as pieces of meat and a source of unlimited funds for greedy network executives.